“Foto-foraging” is a term that I coined to describe the ongoing activity of documenting nature through photography. The photo may simply capture the beauty of God’s creation in a moment in time or it serves as the trail head on the path of learning and discovery. Stop for a moment and observe your surroundings. There is so much to see right in front of you. Each season parades its own fungi, fauna, and flora causing a unique experience each visit to the outdoors. As a “foto-forager,” taking a photo is not enough for me. I want to know more about the subjects of the photos. What is that plant, mushroom or insect in my photo? How will I find them and recognize them in the future? What is their purpose in the ecosystem and what other uses do they have? Are they edible or poisonous? That last question is usually the first question that people have and is one that is cautiously answered with much careful study and support from scientists. The research completed after the photo is taken usually uncovers a list of additional treasures in nature that I will try to photograph in the future. People venture outdoors for many reasons. Along with the usual outdoor recreational activities, some individuals join local organizations such as the Western Pennsylvania Mushroom Club to learn more. They use their time in nature to become citizen scientists, supporting projects like the Mushroom DNA Barcoding project. Others forage for wild food and bring it home for their dinner table. 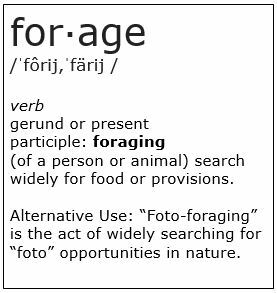 Instead of using your phone to find things that aren’t really there (see Pokémon Go), become a “foto-forager” and use your camera phone to document what is actually there. Learn something about your land and then teach it to others around you. Joshua, I’m hoping to obtain permission to reproduce one of your photographs in a book project. Can you contact me via e-mail so that I can detail intended usage? Awesome Josh!! You’ve inspired me to create my own page to document and share the fungi, flora and fauna of my own area. VERY cool! this is Ben – as promised I visited your “Foto Foraging” homepage and I really like those amazing nature pictures! So much rare individuals – please stay motivated to take more pictures and let us have an impression of what kind of beautiful pieces and places our nature has.